Aaron McCoy - Yakima WA/Ellensburg WA - Terril, Lewis & Wilke Insurance, Inc.
Aaron McCoy started his career in the banking industry, where he obtained valuable experience in helping customers grow their business. 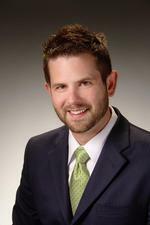 Aaron joined Terril, Lewis & Wilke Insurance in 2009. Aaron uses his background in the financial industry to help his customers protect their most important assets. Aaron earned his B.A. degree with a double major in business marketing and management from Eastern Washington University. Aaron is actively involved in the Rotary Club of Yakima and New Leaders of Yakima County. Aaron and his wife Andrea live in Yakima with their children.